We’ve been working on this for a while and we’re excited to release it into the wild. eBlox runs millions of dollars and tens of thousands of orders through the storeBlox CS company store system every year, and we decided to see what kind of interesting (anonymous, of course) information we could get out of all that data. 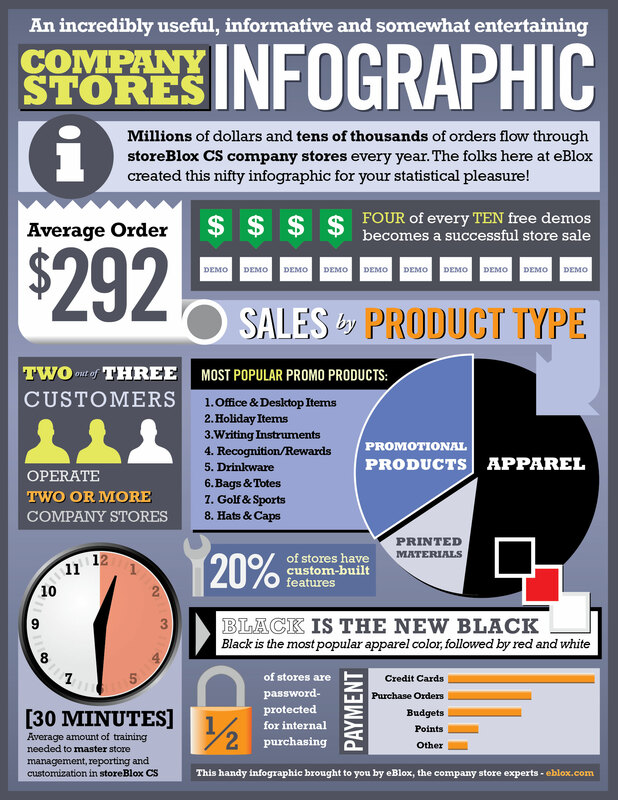 We’re happy to offer blog readers a sneak preview of the storeBlox CS 2012 Infographic this morning. We’ll be pushing it out to the industry at large via email blast later today, but you can get it right now, right here, absolutely free. You can also get a beautiful PDF suitable for printing, framing, or whatever the heck else you’d like to do with it by heading over to the download page.